The Amgen Foundation has awarded Girl Scouts of California’s Central Coast (GSCCC) a $10,000 grant to support the Girl Scout STEM (science, technology, engineering and math) Program. This grant will help serve 325 low-income predominantly Latina girls ages 5 – 18 in Ventura County. 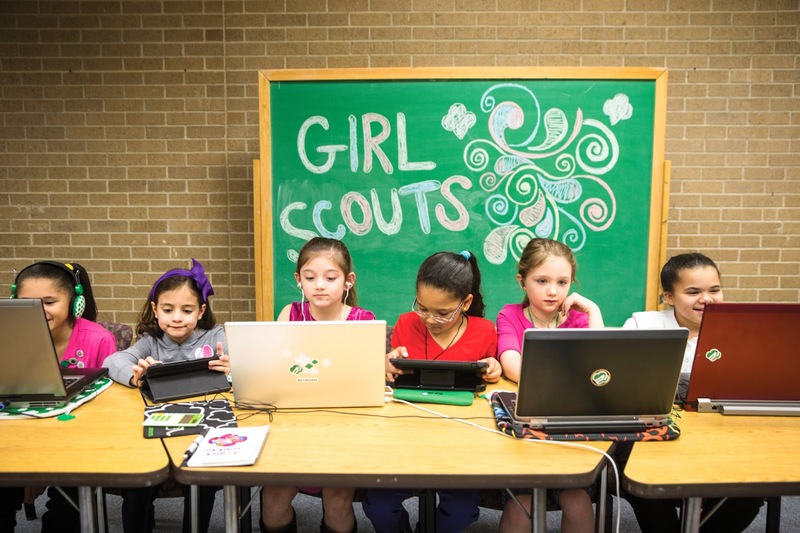 The Girl Scout STEM program includes hands-on technology activities, including teaching girls how to code. To add to their reasoning skills, girls will explore how math and science activities are used in their daily lives. Girls will also explore engineering careers and participate in activities that require critical thinking. Conservation skills such as planting gardens and beach clean-up will teach girls to take care of the environment. Finally, the Girl Scout Leadership Experience (GSLE) curriculum will provide girls with appropriate learning objectives and activities that are girl-led, involve learning by doing, and include community service activities. In 2017, Girl Scouts of the USA (GSUSA) launched new programming that includes 23 new STEM and Outdoor badges. Over the next two years, GSUSA will launch 18 Cybersecurity badges and a series of Space Science badges. The new Girl Scout programming builds girls’ skills and encourages their interest in STEM and environmental conservation from an early age—areas girls are not typically encouraged to explore outside Girl Scouting. For more information, visit www.AmgenInspires.com or follow their Twitter feed at www.twitter.com/amgenfoundation. 1 Day Until . . . Cookie Program Kick Off!